Can Carbon Dioxide Removal Save the World? CO2 could soon reach levels that, it’s widely agreed, will lead to catastrophe. Carbon dioxide traps heat in the atmosphere, causing rising temperatures. By this mechanism, human enterprise has nearly doubled CO2 from its natural levels. A preponderance of evidence supports these conclusions. The process of “negative emissions” subtracts CO­2 from the atmosphere, and is a way to limit the rise in global temperatures. Direct air capture is a technology that removes CO­2 directly from ambient air. Carbon capture and storage (CCS) sequesters CO­2 from emission sources before it has a chance to reach the atmosphere. CO­2 removal is essential to avoid catastrophic climate change. Between 95% and 97% of scientists say heat-trapping CO 2 is changing Earth’s climate. Regulating carbon emissions and shifting to renewable energy sources would slow the pace of climate change. Climate change is linked to more frequent, stronger freak weather events such as hurricanes and floods, which cause large-scale damage and death. Industry’s need to produce energy often conflicts with basic environmental concerns. Fossil fuel industries sowed public doubt about climate change as part of their resistance to taking action. Some of these scientists received tobacco company funds and cast doubt that smoking was harmful, thus delaying regulation for decades. Industry underwrites self-proclaimed experts who smear opposing scientists’ reputations. “Climategate” was a manufactured conspiracy theory that undermined global efforts against climate change. The impact of inaction far outweighs the costs of cutting carbon emissions now. No single event can be catastrophic enough, it seems, to galvanize public attention and mobilize action. Part of the problem, for certain, is the shrinking American attention span. As the seasonal cycles in temperature and rainfall shift, altering by different amounts the timing of the hatching of insects and the arrival of birds, entire food webs are in danger of disruption. The global nature of the manufacturing process comes with significant external costs to the environment. In burning large quantities of low-grade fuel, the shipping industry isn’t just polluting the oceans and the air with toxic substances, but it’s also contributing 3.1% of yearly global carbon dioxide emissions. The chain of production for electronic devices involves thousands of suppliers across the world and relies on a shipping industry that emits large quantities of toxins and carbon dioxide. CO­2 levels have reached a record high and could lead to disastrous climate change if left unchecked. Besides reducing emissions, it has now become necessary to remove the CO­2 already in the atmosphere. 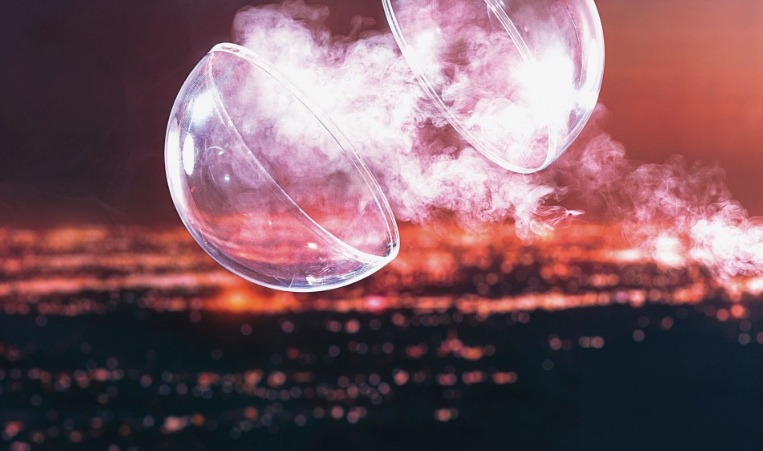 New Yorker writer Elizabeth Kolbert gives a cautionary look at what technologies exist to remove CO­2 from the atmosphere, why CO­2 removal has become essential and what challenges there are to large-scale use of these technologies. Direct air capture technology takes CO­2 directly from the air and turns it into calcium carbonate. As this technology targets CO­2 in ambient air, it can be used anywhere. Yet because ambient CO­2 is so diluted, this technology is relatively inefficient. Six companies currently use direct air capture technology, including Carbon Engineering in British Columbia, Global Thermostat in New York and Climeworks near Zurich. Carbon Engineering removes about one ton of CO­2 per day. Carbon capture and storage (CCS) sequesters CO2 from emission sources before it has a chance to reach the atmosphere. CCS takes CO­2 from emission sources and pumps it underground for storage in specific rock types. CO­2 stored is rigorously monitored and has stayed put thus far. A variation of CCS called bio-energy with carbon capture and storage (BECCS) has the added benefit of energy production. Plants take in CO­2, removing it from the atmosphere. As the plants are burned for energy, the CO2 released is sequestered by CCS. As CO­2 levels in the atmosphere increase, global temperatures rise as well. Climate scientists have proposed a warming of 3 degrees Celsius as “catastrophic,” and the 2015 Paris Agreement aims to keep it to “well below 2°C.” Given the amount of CO­2 already in the atmosphere and its continued production, computer modeling shows that it is nearly impossible to reach the aims of the Paris Agreement without negative emissions. Effective CO­2 removal must be done on a scale that requires hefty infrastructure and operations costs. In addition, producing the calcium used in direct air capture yields CO­2, which is counterproductive.